There’s a fascinating new article in PNAS, ‘Stone tools and foraging in northern Madagascar challenge Holocene extinction models‘, outlining a long chronology for the settlement and early habitation of Madagascar. The traditional wisdom is that Madagascar was uninhabited until around 500 CE when Austronesian speakers from southern Borneo migrated several thousand kilometres westward, and Bantu-speaking East Africans crossed the Mozambique Channel, producing a civilization of iron-using swidden farmers and creating an ecological catastrophe in which many native species went extinct. The discovery that the Malagasy language is most closely related to the Southeast Barito languages of Borneo, proposed systematically for the first time by Otto Dahl in the 1950s, is one of the most significant and surprising findings in historical linguistics of the past century, given the enormous geographic distance between the two regions. Later, Dahl helped to establish that Malagasy also has an important Bantu linguistic substratum, and more recent genetic evidence confirms that both African and Southeast Asian migration was involved. This new study, whose first author, Robert Dewar, unfortunately passed away before its publication, shows the situation is significantly more complex, and that there is a history of hunter-forager habitation in at least some parts of Madagascar going back up to 4,000 years (i.e. 2,500 years more than previously acknowledged by the traditional hypothesis). I’ve always wondered how it was that Madagascar, which is not that far from the East African coast, could remain entirely uninhabited by humans for so long. The new study, based on fieldwork conducted a few years ago at two rock shelters in the northern part of the country, shows a vibrant hunting-foraging adaptation with microlithic tool technology to have existed far earlier than previously suspected. This tool tradition has similarities with both East African and Middle Eastern traditions of the same period, but not with Southeast Asian ones (unsurprisingly). What this tells us is that there was a previously-unidentified pre-Bantu, pre-Austronesian population on the island, probably of East African ancestry for millennia before the extinctions of Madagascar’s megafauna began in earnest, It requires that we rethink the model that sees the arrival of humans on Madagascar as the simple direct cause of the extinctions, and forces us to instead ask what sorts of human-environment interactions cause effects, and how. 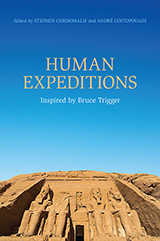 Human Expeditions: Inspired by Bruce Trigger, which was published recently by the University of Toronto Press, is a book that Andre Costopoulos and I envisioned shortly after the death of our friend and mentor Bruce Trigger, who was my dissertation supervisor. In helping to sort through his papers, we became aware that he had developed, over several decades, a network of eclectic and important scholars, including many of his own students, whose work did not fit into conventional theoretical or disciplinary categories or whose serious ideas had not received adequate attention. We also were reminded of how unconventional much of Trigger’s own work was, with articles such as ‘Brecht and ethnohistory’ and ‘Akhenaten and Durkheim’ among his eclectic works. But the book was created not as a sterile memorial to Trigger, but rather, as a way to think about scholarship that is, “unfinished, unbegun, or even unthinkable, in the present intellectual climate”. Human Expeditions is a decidedly ‘unfashionable’ book, and we are proud of that fact. We identified people whose work is poorly characterized by ‘isms’, and asked them to share work that filled gaps in present thinking. The contributors to the volume come from the philosophy of science, history, and Egyptology as well as anthropology and archaeology. The result, we hope, will give greater depth to anthropological insights and greater conceptual breadth to the humanistic social sciences. A number of contributors are very senior figures in their fields, but we believe it is just as critical to include contributions from early-stage scholars, including several who were students of Trigger in his final years. At minimum, we want to provide immediate venues for important scholarship that lies outside disciplinary norms. At its most utopian, Human Expeditions allows us to envision, “an alternate history of the social sciences in which conformity to convention is not an expectation,” and to think about different configurations of disciplines than those currently in fashion. We think that Trigger would have approved heartily. Now let’s turn from this surreal Pythonesque world to another scenario. So this is the world I live in, and this is the battle I fight. The problem is a cognitive and ideological one. We are so attached to the idea that numerals are for arithmetic that it’s very hard to stop and ask whether number symbols were actually used for doing calculations in a given society. There’s essentially no evidence that Romans or anyone else ever lined up or computed with Roman numerals on papyrus or slate or sand or anything else, while there’s abundant evidence that they used an abacus along with finger-computation. This should give us pause, but our cognitive bias in favour of the numeral/math functional association overpowers it. For almost all numerical notation systems used over the past 5000 years, there’s precious little evidence that numerals were manipulated arithmetically. You might have a multiplication table, or you might write results, but you wouldn’t line up numbers, break long numerals into powers to work with them, or anything of the sort. And since we don’t know that much about abaci and other arithmetic technologies, even though they were obviously used for arithmetic, we assume (wrongly) that they certainly could never be equally good as written numbers. And thus we conclude (finally, wrongly, again) that Romans were hopeless at arithmetic. We might even blame their (purported) lack of mathematical proficiency on their lack of a ‘good’, ‘efficient’ numeral system. It’s a casual, all-too-easy ethnocentrism, and hard to detect. It’s not the nativistic, “our ways are good, your ways are bad” ethnocentrism that we mostly know to avoid. 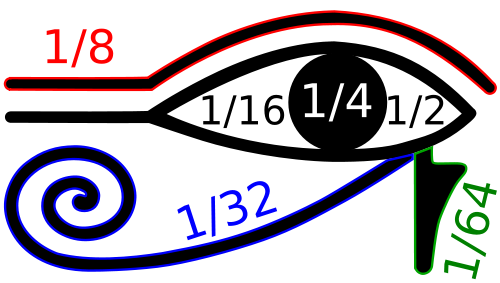 Because arithmetic as it is presently taught almost everywhere relies on the structure of the positional decimal numerals, lined up and manipulated as needed, it takes on a naturalness that is deceptively difficult to untangle. Yes, the Roman numerals are quite difficult to use if you presume that the way to use them is to break them apart, line them up, and do arithmetic in something like the way we were taught. This isn’t to say that the functions of technologies aren’t relevant, but if we decide in advance what their functions must be, we are likely to miss out on what they actually were, and our judgements will be compromised. To hammer the point home: if we do that, we’re screwed.